Hey Everyone, I wanted to talk a bit about my Patreon. Patreon is like an ongoing kickstarter in that it allows an audience of supporters to support artists and projects. However, instead of pledging one lump sum for one large project, patreon's pledges are recurring, smaller donations to help your favorite artists continue to bring you the content you enjoy. Your Pledge can be from $1 to however many doll hairs you want and in return I will show my appreciation by giving you rewards! 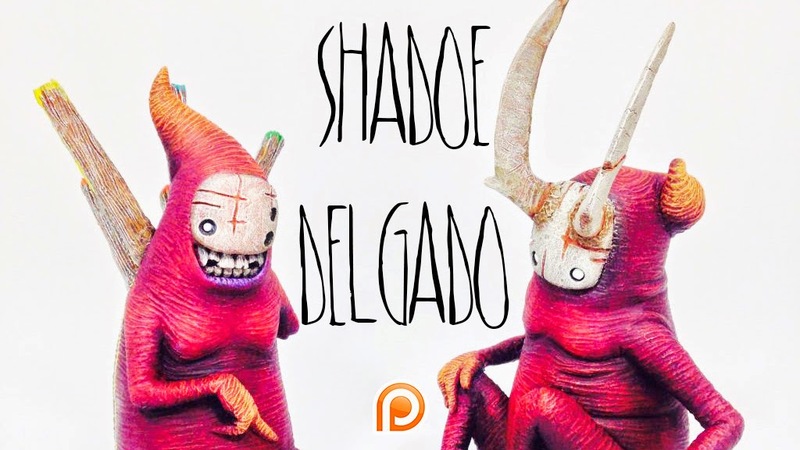 By Pledging to my Patreon you will be helping me take my business of making creatures and things to a new level. If this takes off and sufficient pledges are received I can start producing bigger projects such as toy mini series, freeing me up to do work that isn't strictly commission based. Also the Patreon will help me to have a presence at some of the larger art and toy conventions, start large print releases, original toy and sculpture projects, and potentially kill my student loan debt! Most of all I hope to use Patreon as a means of supplementing my art business and helping it reach the point of viability. Once my business reaches a point of viability my Patreon will turn into a monthly subscription service and means of providing you with more, bad-assier exclusive content. By becoming a patron you are entitled to rewards determined by your monthly pledge. The rewards are a way that I can show you my appreciation for your patronage without breaking the bank or sinking all of my time into them. Rewards range from access to my exclusive Patreon content not seen anywhere else, monthly signed prints, monthly exclusive Patreon toy variants and producer credits printed on the box art of my major toy or sculpture releases. 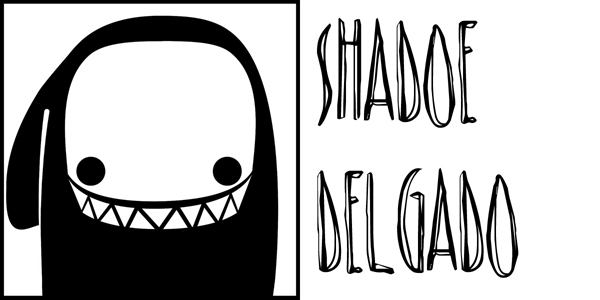 I create these dark, chubby yet lanky creatures that I like to call Shadows along with their buddies, whatever form they might be. 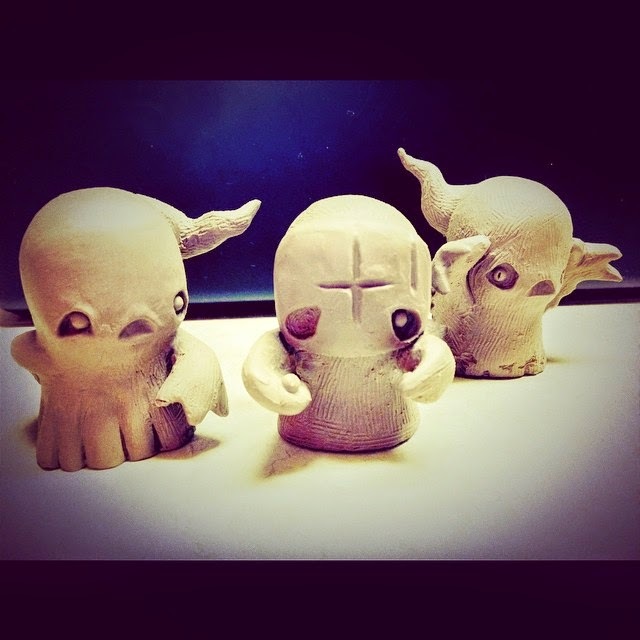 I'm starting to make a living of it :) I enjoy sculpting these guys most of all, but I'd like to break new ground and create them in many various ways. I work primarily in ceramic, apoxie resins and pen/ink. I have knowledge in all sorts of other mediums, however I don't have the opportunity to expand on them. My business is starting to take off however it's still a little shaky. Most of the work I do is commissioned based and leaves me with very little time to focus on the other things I enjoy that have the potential to help my art career take off. This is why I started a Patreon, to ask for your help and support! To those of you who have read this, if you wouldn't mind spreading the news or sharing this with others who might be interested, I'd really appreciate it. I've been struggling to get the word out there by reaching out to toy and art blogs and any of the followers on my social media outlets, however it hasn't been received very well or it has been overlooked. This is a tremendous opportunity for me to turn my work around and put this 7 year fine art degree to good use. The Commissions have been a lot of fun however they don't leave me with much time to do anything else. It's been a battle between limiting commissions to free up time for personal projects, but then having enough commissions to pay the bills and fund the personal projects. Any and all help would be greatly appreciated! If you've passed this info along, please let me know, I would like to send you a small print as a thank you!